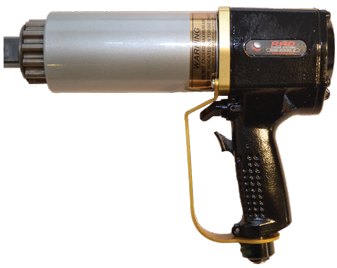 The RAD Pneumatic Series of nut runners are the most advanced pneumatic torque guns on the market today. 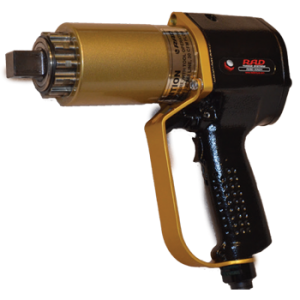 With an accuracy of +/- 4% and repeatability of +/-2% all tools in the range have the highest power to weight ratio of any torque gun on the market. The RAD Pneumatic Series is separated into several distinct categories that have been specially engineered to suit different environments and market requirements. 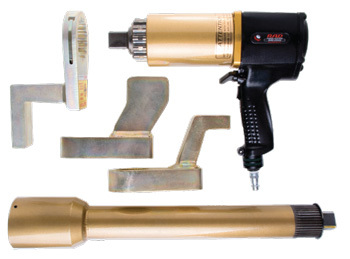 A stall type tool with no impacting results in a smooth continuous application of torque eliminating destructive hammering and reducing operator fatigue to increased productivity. Supplied with NATA traceable certificate of calibration and laminated torque charts. 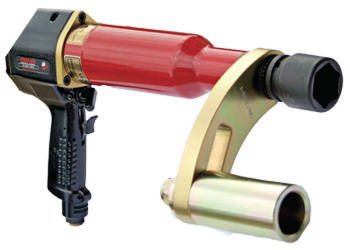 All RAD Pneumatic Series Tools are supplied with reaction arm, 3M hose, tool holder, Filter/Regulator/Lubricator, Waterproof Site box and instruction manual as standard. 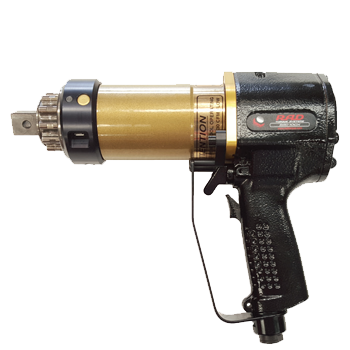 Designed for extreme duty use in a variety of industrial applications these torque guns are single speed units that stall on final torque. 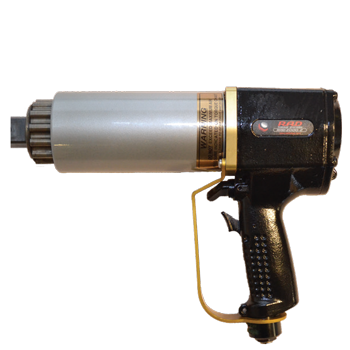 All RAD Guns are non-impacting and unlike rattle guns apply a smooth continuous torque eliminating destructive hammering and reducing operator strain and increasing productivity. 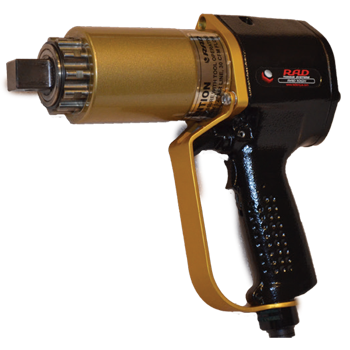 The RAD Standard Series Pneumatic Torque Wrenches offer a reliable and dependable solution for controlled bolting environments. This gearbox is ideal for nuts and bolts with a long rundown as the high speed will run the fastener down at up to 5 times faster than a Standard tool and then once a snug torque is sensed automatically switch into the Standard Speed for controlled final tightening. The nose extension is designed to reach into the rim keeping the operators hands safely outside. Torque Warehouse are able to manufacture custom reaction arms to suit all rim styles and brands. The Wheel Master as it has become known is an all new tool developed specifically for the tightening of wheel nuts on trucks, buses and commercial vehicles up to 700ft.lbs. With a special slave style reaction to eliminate dangerous pinch points protect the wheel nuts and prevent damage to the rim, this is the ultimate wheel fitting tool. 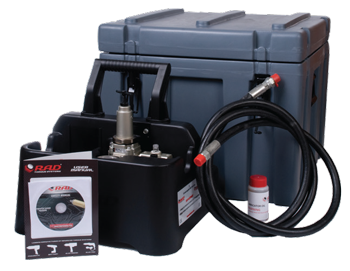 For the complete tool kit look no further than the RAD NX Kit! 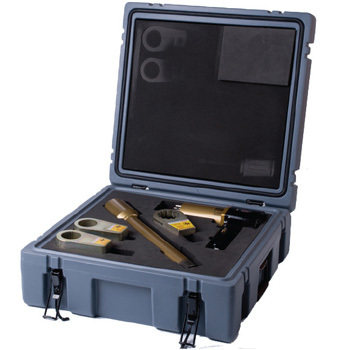 Packaging the RAD tool of choice with a selection of reaction arms and a nose extension enables users to undertake 99% of bolting applications without the need for additional accessories.